At Everything Dinosaur we get lots of questions sent into us about dinosaurs and prehistoric animals. We try to answer as many as we can, especially those sent in by budding, young palaeontologists. Here are some of the questions that we have received recently. 1). Who was more powerful Allosaurus or Suchomimus? We get a lot of questions about comparing different types of dinosaur. There are a number of Allosaurus species known, one of the largest Allosaurus fragilis, comes from the Western United States (Morrison Formation). This Theropod dinosaur was one of the biggest predators around during the Late Jurassic. Suchomimus lived much later than most of the allosaurid dinosaurs. Its fossils have been found in Cretaceous aged deposits in Niger (Africa). Both dinosaurs were more than eleven metres in length and differing body mass estimates for Suchomimus make it rather difficult to answer this question. One thing that is known, the shape of the skulls were very different. These dinosaurs probably preyed on different animals. Allosaurus was a predator of other dinosaurs, whilst Suchomimus might well have attacked other dinosaurs but it may have been primarily a fish-eater. Tests carried out on the skull of a sub-adult Allosaurus indicated that this large dinosaur had a surprisingly weak bite. The research suggested that this Allosaurus could generate a bite force of just 200 kilogrammes on the tips of its teeth. This is the equivalent of a the bite of a modern leopard and a much weaker bite than found in crocodiles and alligators. Work undertaken in 2013 compared the resistance to bending and distortion of Spinosaur skulls to those of modern crocodiles. When the skull size differences were taken into account, the skull of Baryonyx, a dinosaur believed to be closely related to Suchomimus, turned out to be remarkably strong. The scientists concluded that based on these results, Spinosaurs may not have been specialised fish-eaters, but their diets may have changed as the animals grew and became stronger. 2). Was Ichthyovenator a Strong Dinosaur? Ichthyovenator was formally named and described in 2012. It was the first spinosaurid dinosaur to be described from Asia. It is only known from fragmentary remains and although teeth have been ascribed to this genus, no skull material has yet to be discovered. Most illustrations of Ichthyovenator are based on reconstructions of better known spinosaurids. It is believed to have been closely related to Suchomimus. Size estimates vary for this dinosaur, but it could have reached lengths of around nine metres and weighed as much as 1.5 tonnes. Although the fossilised remains of just one animal have been found and these fossils represent less than 15% of the entire skeleton, measurements of the hip bones indicate that this animal did have strong, powerful back legs. The size of the arms is unknown. 3). How Long was Mapusaurus? Named in 2006, this dinosaur’s fossils come from Argentina. The remains of several individuals have been found, from juveniles to mature adults. 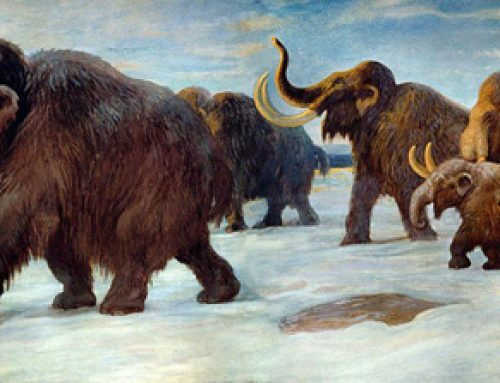 The largest specimens have been estimated to have been around 12 to 12.2 metres in total length. 4). How Big and How Long was Tarbosaurus? 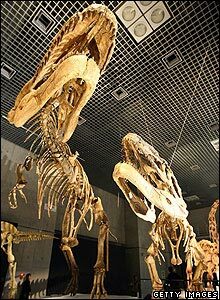 Tarbosaurus (T. bataar) is sometimes referred to as the Asian T. rex. It was a Late Cretaceous tyrannosaurid whose fossils have been found in Mongolia and China. It is also referred to as Tyrannosaurus bataar as a number of palaeontologists have proposed in the past that the fossil material represents an Asian species of Tyrannosaurus. A number of fossil specimens which are more than fifty percent complete are known. Due to the number of Tarbosaurus skull fossils that have been found, scientists have been able to study how the heads of these dinosaurs changed as the animals grew. Size estimates do vary, but most scientists place this dinosaur at around 9.5 to 12 metres long with a body weight of about 4 to 5 tonnes. It was an apex predator in its environment.